In this 30-page free superheros printable you’ll find a variety of activities such as: letter tracing, which one is different, patterns and so much more! My youngest has always been a huge fan of superheroes. One day after we wrapped up our school he asked if I would make him superhero printables. I couldn’t resist. I knew that adding his favorite characters to what we were already working would only encourage his love of learning. Being that he was in Kindergarten at the time, this printable is focused on topics we were covering. One of his favorites has been the included clip and count cards. Those I print those on card stock and laminate them. That way we can use them over and over again. We have several difference clip and count cards that we rotate with and it always keeps his interest. 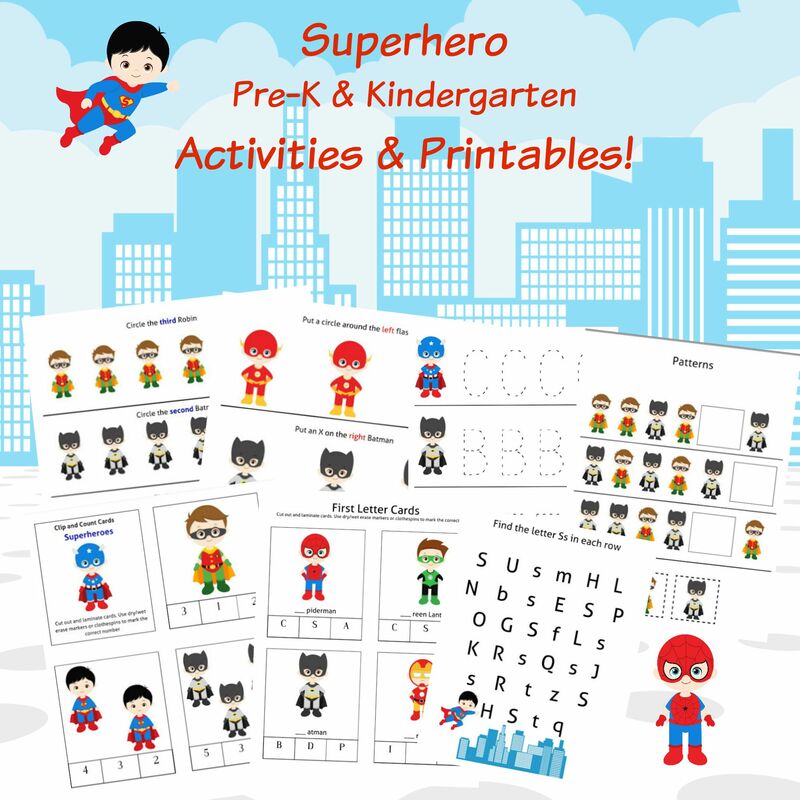 You’ll find that this free superheroes pack is geared mainly towards Pre-K-Kindergarten age.